We knew Clay needed help in those areas as well if he’s to improve his typing skills and move towards independent typing. A few emails and one phone call later, Clay and I were on our way to an optimistically planned three-hour consult. Marjorie also tried holding prism lenses in front of Clay’s eyes and doing some Musgutova Neurosensorimotor techniques. Because it had been seven years since she last worked with Clay, he made it clear that she was moving too fast. We decided to call it quits after an hour and schedule another hourly session. Clay: please tell marjorie that i having plopping noise in my ear from the clock. my fat head is just annoyed by it. Marjorie, after moving the clock: I put the clock away and you lost your rhythm. The idea is to make things different for you to get you better organized. Clay: having popping in my ears is just more noise. only like my festive noise. Marjorie: What do you mean by festive noise … self-talk? Clay: hope you get to look at my eyes. yes it helps me cope please just stop looking for my molvement in the miniscule home environment. Thanks to Clay’s feedback, we moved onto vision, and he revealed that he sometimes sees double, usually when he’s reading. Marjorie spoke directly to Clay, explaining to him that he has a convergence problem so his eyes are not working well together. She told him she can help make his eyes work better and be less tired, with the help of a developmental optometrist she works with, but that it will take a lot of work. That’s all this Warrior Mom needed to hear. With a renewed emphasis on working with his body’s rhythm and some new ways to get his body prepped for typing, Team Clay embarks on an exciting new journey that puts Clay in the driver’s seat. This entry was posted on November 4, 2013, 7:57 am and is filed under Communicating. You can follow any responses to this entry through RSS 2.0. You can leave a response, or trackback from your own site. I’m an Occupational Therapist that has been following Clay’s story for a few years (thanks to the Philadelphia Inquirer article my mom had saved for me). 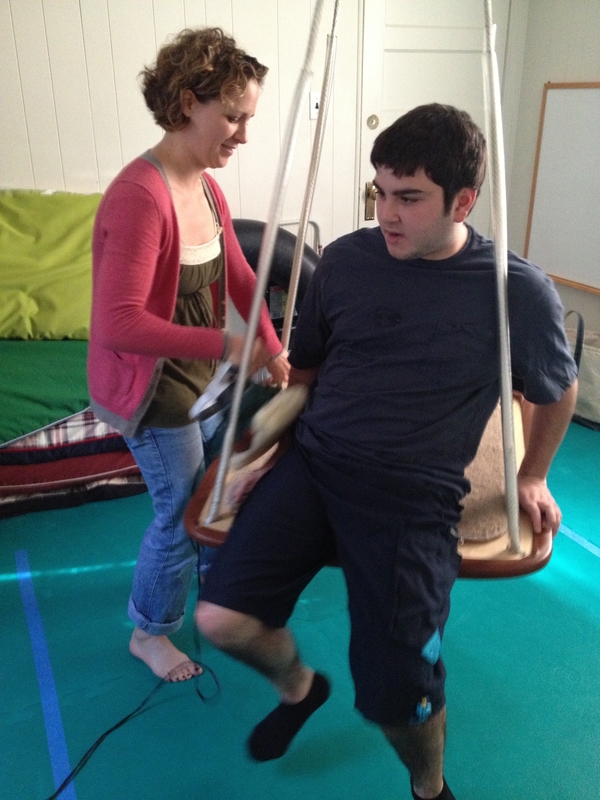 I’m excited to hear about Clay’s new OT and look forward to hearing how his therapy is going! Clay, it was interesting for me to hear how the ticking clock sounded to you. yes it popped. thought it loud. just loud not painful. distracting more. the rhythm helps me make my body work by feeling kinection to body for my voice. I love reading these posts and seeing how you are progressing Clay. You’re amazing! 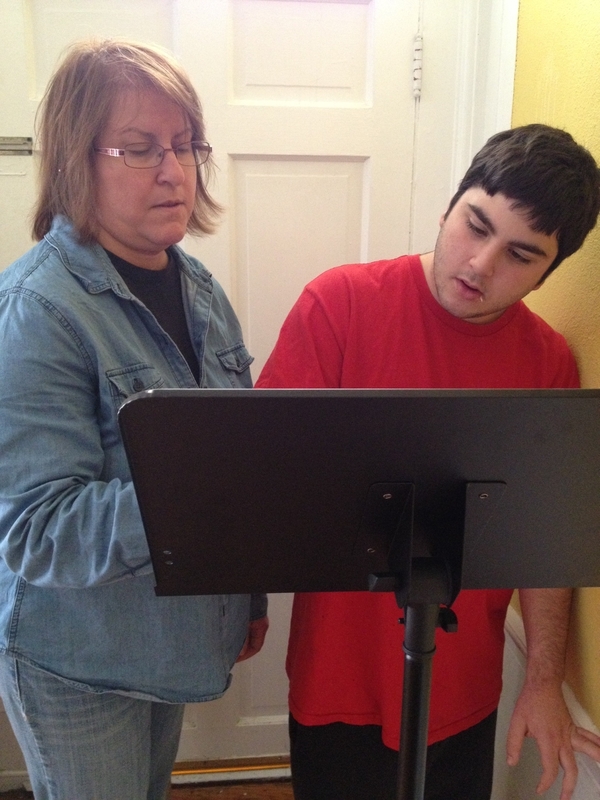 Hi Clay, I just wanted to check back in to tell you about something I used with one of my students in OT. I tried out a metronome while he was cutting since he tends to cut very fast and choppy. It worked really well and he was able to time his snips to the beat. He requests to use the metronome now every time we cut! Thanks for the tip.